The Marshall 2525C Mini Silver Jubilee is a newly-designed combo amp with historical roots. Back in 1987, the original Silver Jubilee line was being produced, with models like the 2550 which signified 25 years of Marshall Amplification and the 50th anniversary of Jim Marshall being a professional musician. This gave rise to the particularly popular 2555, a 100W monster that was most notably played by Slash. Just last year, the 2555 was reissued by public demand in the form of the 2555x. However, after this reissue, many players spoke out about wanting the same amp in a smaller package with lower wattage, and so the 2525C was born. With the same preamp section as the 2555x, EL34s in the power amp section, a 25-watt 12” Celestion Greenback G12M, and the classic Silver Jubilee tone, the 2525C is a welcome addition to Marshall’s unmistakable silver amp lineup. The 2525C’s most prominent feature is its ability to switch between a 5W and 20W output, giving you some gnarly dirt or plenty of headroom for crisp cleans. Despite its small size and potential for low wattage, this little combo still packs a punch, both in terms of appointments and plain old volume — that is to say, even at 5W, the 2525C can get loud. 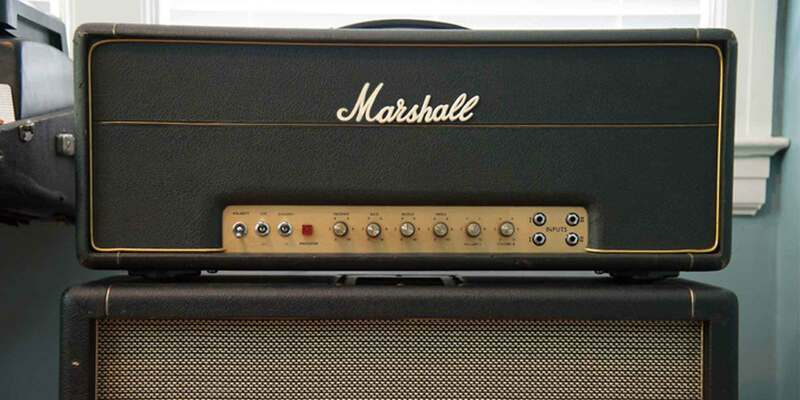 How well do you know your Marshall history? Take a look back from the early days in 1962 to the end of hand-wired circuitry in 1973. Despite its sleek and straightforward design, there’s a lot hidden in the layout of the Mini Jubilee. Two footswitchable channels are available, and the lead channel can be accessed using a unique push/pull function on the Output Master control and then tweaked using the Lead Master knob. This push/pull functionality also comes into play with the Input Gain knob, which can be pulled out to access Rhythm Clip mode for extra heavy tones. And finally, to carve out frequencies for the perfect sound, the 2525C gives you Marshall’s classic 3-band EQ and Presence controls for more precision shaping. Watch the video above to hear the Marshall 2525C in both 5W and 20W modes, and then click the banner below to shop new and used 2525C combos for yourself.